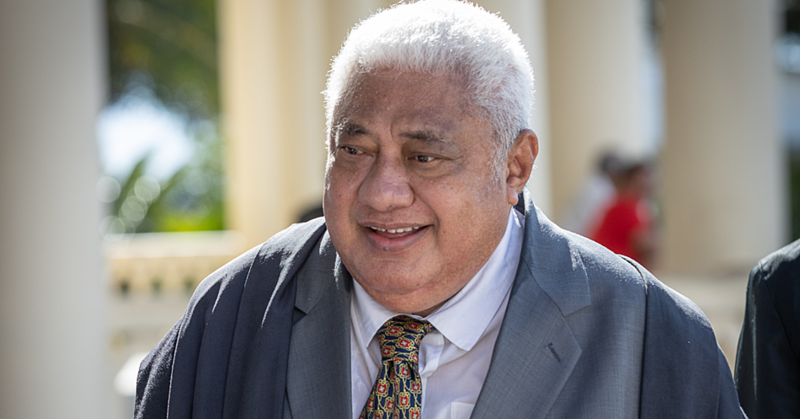 Although New Zealand born and raised in Australia, Miriama Latu Meafou was afforded the Samoan upbringing like any other normal Samoan child. “Ou ke kago ao loa ia oe e vaai ia. (Don’t tempt me to slap you silly),” the 21-year old Miss Samoa Australia said recalling the many scoldings from her strict Samoan upbringing by her mother, Mrs. Taliiletai Latu from Salelavalu Savai’i. And not surprisingly, Miriama speaks Samoan fluently without any accent. “It was my parent’s way of reminding us constantly never to be ashamed of our Samoan identity and heritage. 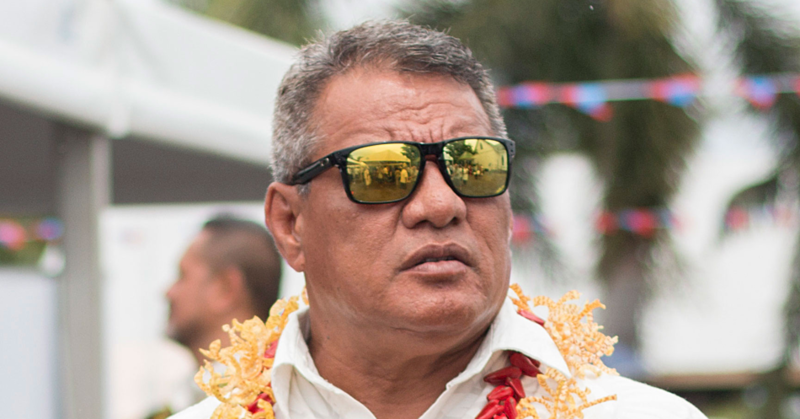 “In fact, my sister and three brothers speak Samoan fluently,” added the eldest of the family. She did not have the luxury of time to celebrate her educational achievements after graduating last July with a Degree in Human Resource Management & International Tourism and Hotel Management following close to four years of gruelling studies with the Brisbane based, Griffith University. Straight after graduation, Miriama found herself as a contestant for the Miss Samoa Australia silverware. But because there were less than three contestants, she claimed the crown. And here she is, as one of the eight contestants for the Blue Sky Miss Samoa Pageant 2016. “It was never my intention to become a beauty contestant,” she recalls. 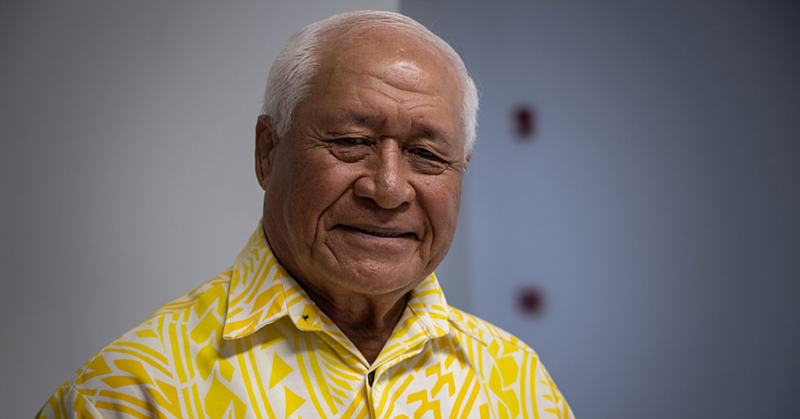 “But after mentoring Pacific Island primary and secondary students many who have Samoan heritage, I realised the great influence I had on them through encouragement to realise their full potential at the University level. “It was a humble experience to witness the enthusiasm and determination shown by some of our students reaffirming what we as Samoans have known for years; nothing can match our unique Samoan ingenuity. “This, along with my strong Christian beliefs and upbringing convinced me that the Miss Samoa Pageant is the most effective platform to stand up as a role model to persuade young Samoan people never to give up on their educational dreams. “The world is our oyster,” continued Miriama. “And in order to use the world, you need to open it up to create endless opportunities especially for the young people to explore and fulfil their education inspirations. “Education, in my book is the key to unlock the golden door to stability and prosperity. “And education is a fundamental right, and not a privilege. 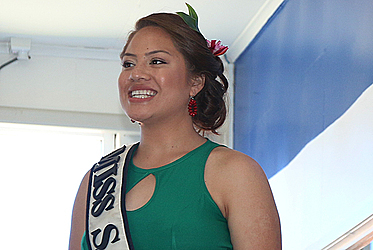 Win or lose, Miriama plans to continue her journey and maintain her ties with Samoa. “The plan is to pursue my Masters in Education if I’m unsuccessful with my Miss Samoa quest. “And upon completing my Masters, I plan to return home and work with the local education stakeholders in whatever role that would require my input to fulfil my obligations as an Education Advocator for Samoa. “Most importantly, it will fulfil my parent’s wishes for their children to never give up trying.